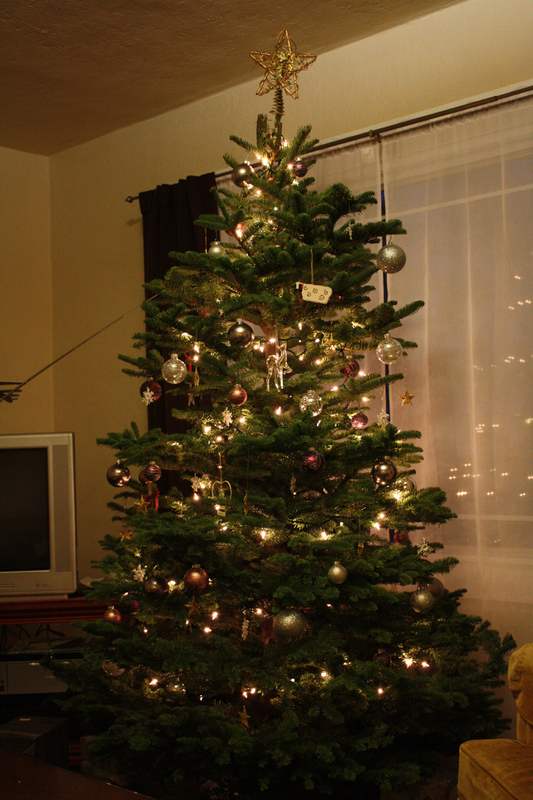 This is the first year we actually have a full size Christmas tree. 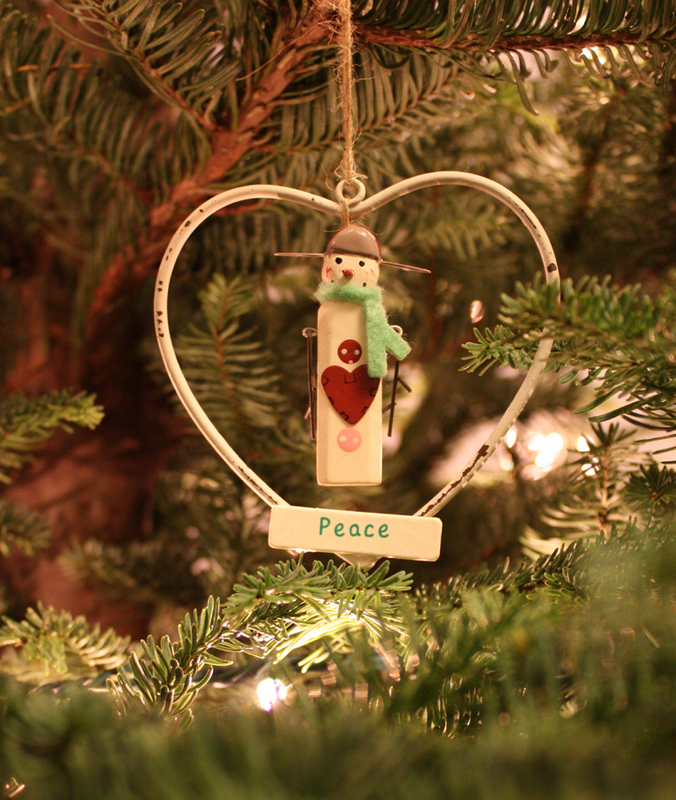 While living in our apartment we bought a cute little potted blue spruce tree that we had been using year after year. And with each year there were less and less needles until it could no longer be turned to hide the bald spots as it had become one giant bald spot. 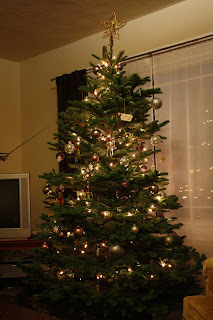 So this year we HAD to buy a big tree! I found some ornaments on sale at Michael's, I really liked the silver glittery patterns, and then found some disco-ish silver balls at Target in the dollar bin. With left over snowflakes, stars, and lights from years past, I got to work with my Mom decorating the tree, with Brian playing Christmas music from his computer in the background. 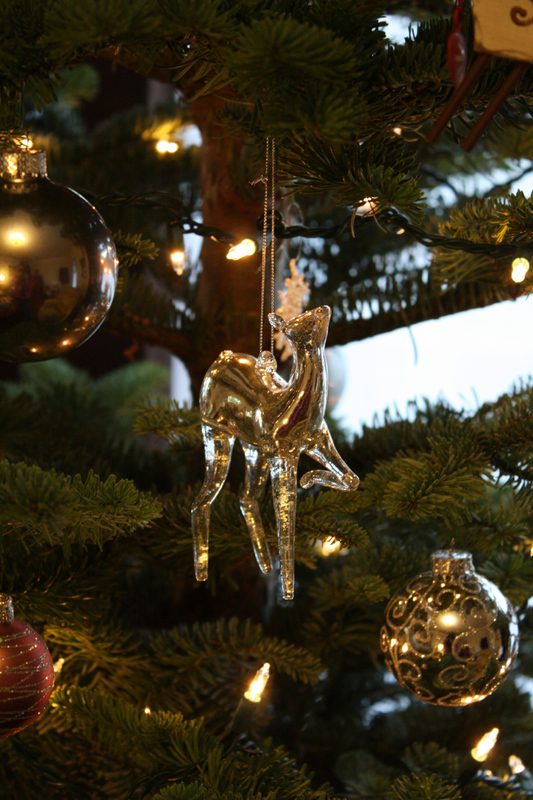 And if I do say so myself it is quite a lovely tree, it looks somewhat elegant with all the silvery ornaments and golden lights. 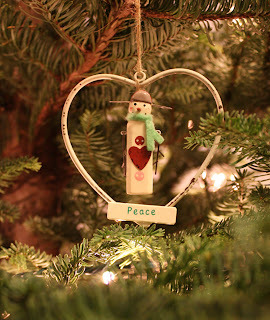 And as tradition (well for the last couple years, it's in its initial stages of traditiondom) we each bought a ornament for the year. 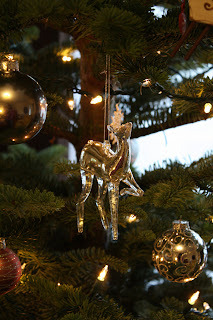 While I chose a mercury glass deer from West Elm. I guess I am in a silvery-bling decorating mood this year.